In using this website you are deemed to have read and agreed to the following Spa terms and conditions. A 50% non-refundable and non- transferable deposit of the total fee payable is required upon booking to secure your booking. Until payment is received, your booking is not confirmed. The deposit can be paid over the phone or at our spa. Any treatment deposits for treatments that are paid for upfront are non- refundable however can be used for any treatment within the same value or more, should you wish to change your mind or cancel within the time frame. Cancellation policy applies. You are required to give 24 hours notice should you wish to postpone or re arrange your appointment. We charge 100% of the treatment total when you book online. This is to secure your booking. It is an extension of 50% non-refundable deposit taken when booking over the phone or in the spa. In the event you cancel within 14 days we will refund 50% of total treatment without you needing to request. The other 50% will remain on your account to be used toward other treatments, gift vouchers or retail. If you wish to reschedule your appointment the full payment will remain on your account until you come into the spa for your treatment. A patch test is required 24 hours before the following: lashes, lash lift, tinting, waxing (only if you suffer from sensitive skin), Microdermabrasion or tanning. Contact the spa on 01803 200171 to arrange a patch test. If you suffer from any medical conditions please contact the spa before booking online 01803 200171. More information on our contraindications and medical conditions below. If you are booking in for an nail appointment and you require a removal of gel polish, please ensure to book this in as well. Groups of 3 or more will require a 50% non refundable deposit upon booking. The rest of the balance is required to be paid 1 week before the booking. If any person from the booking does not show up, they will loose the deposit and treatments cannot be transferred due to how the booking was scheduled and planned out at time of initial booking. The remaining 50% balance is also refundable if the booking is cancelled within the right timeframe as stated above. Failure to give the sufficient cancellation will result in loosing the rest of the balance. Once a booking is made, the price paid is final and no price difference can be refunded in the event of a late deal/ offer of a price reduction. We are not a medical centre and our staff are not medically trained practitioners. If you have had or are suffering from severe allergies, ill health, a particular medical condition or are pregnant we advise you to speak to your GP prior to arrival to ensure you can use our full facilities, services and treatments. In some instance we may require written confirmation from your Doctor. All treatments booked are subject to medical status. We reserve the right to refuse treatments if we feel it is not in the best interest of the Client. Vspa Retreat will not be held liable for any treatment cancellations due to ill health if this information is not disclosed at the time of booking .We reserve the right to refuse to treat someone and retain their deposit if we are unable to provide a treatment due to a previously undisclosed medical condition. Please read the contraindications page for more information on this. Clients must ensure the Verrucas / foot conditions are suitably covered in the interest of hygiene whilst using the facilities. Please advise the spa upon booking if you are pregnant as some treatments may not be suitable for you particularly in the first trimester. 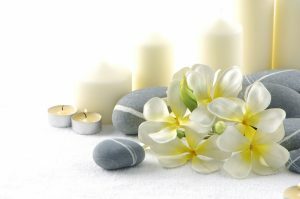 A surcharge may be applicable to massage treatments or certain spa packages. Pregnancy may be contraindication to a range of treatments. If you are pregnant or undertaking any medical fertility procedures, please do not book online, before speaking directly to the member of the team, to determine if you can indeed book the treatment. Failure to confirm that the treatment required can be carried out with an existing medical condition may result in your appointment being cancelled and your deposit retained. At Vspa we have a strict 24 hour cancellation policy in order to accommodate the high demand of appointments. This policy applies across the board whether booked in person, on the phone, via email or online. We are happy to reschedule appointments, providing we have at least 24 hours notice. For the avoidance of doubt failure to notify Vspa within 24 hours the full amount would be charged.Cancellations should be made by calling us on 01803 200171 and speaking to a member of staff. If you cannot get hold of us you will need to leave us a voicemail as well as sending us an e-mail to ensure we receive either one of them. We will not accept cancellations via e-mail only. Late cancellation and “failure to show” terms also apply to any gift vouchers, any vouchers, and any appointment booked with us. We hope you understand. The staff work to a timetable and arriving late will reduce the time available for your treatment. This will ultimately diminish its effectiveness and your relaxation. Clients should arrive 10 minutes early for bookings. This ensures there is plenty of time to check in, use the bathroom, fill out any necessary forms and enjoy a welcome drink. We regret that it may be necessary to treat appointments as cancelled for clients arriving more than 15 minutes late but we will, wherever possible, adapt the treatment to the time available although you will however be charged for the full value of the treatment that was made at time of booking. Treatments begun late will be shortened in consideration of the next client booked in. All times stated include preparation of room, client and room change over: i.e. 5 minutes at the beginning and end of each treatment. Treatments times also include consultation and aftercare advice where applicable to the treatment. Young children under 9 years old and babies are not permitted within the spa unless an appointment was booked for them. We often do business with third party companies like Groupon, Treatwell and Spa Finder. These companies advertise our service and deals, and when you purchase through them you will need to deal directly with them should any issue occur. Their customer support team are very friendly and should happily assist you. It is advisable to read all the terms and conditions within their website before purchasing any deals or vouchers. When you purchase anything through these websites your payment will go directly to their company so therefore you will need to deal directly with them about any issues. If you are pregnant and have purchased a massage deal/voucher a surcharge may be applicable. Vouchers are strictly valid for 6 calendar months from date of purchase. Gift Vouchers cannot be refunded or exchanged for cash. If the cost of your visit is for a higher amount than the face value of the voucher(s), the difference can be made up with cash or another accepted payment method. If a purchase is for a lower amount, no change can be given but the balance will remain on the voucher until its expiry date. Vspa will not accept responsibility for lost, stolen or damaged gift vouchers. Gift Vouchers can be exchanged for products or treatments. However, due to unforeseen circumstances, changes to our services provided, product stock and supply etc we cannot make any promises for treatments or services we currently provided will be available in the future. You will need to bring your voucher with you and exchange it at the Reception on the day of your booking. Gift vouchers cannot be renewed once expired. Gift Vouchers cannot be redeemed against any treatments on offer or any of our Sunday discounted packages.If a voucher was previously purchased on offer and has the offer stated on the voucher then it can be used against that offer. We ask clients to look after their property while at Vspa Retreat as we are unable to take responsibility of items left unattended. We cannot be held responsible for lost items. Please ensure you retrieve all your personal items before leaving the premises. Beauty products must be paid for in full at time of purchase or ordering.We will happily exchange any product, purchased from us, as long as you have the receipt and it is returned in re-saleable condition, within 7 days of purchase. Returned products must be unopened , unsealed and undamaged. If the, returned, product is faulty or defective, we will offer an exchange or full refund. Vspa Retreat offers a no refund policy for services provided. 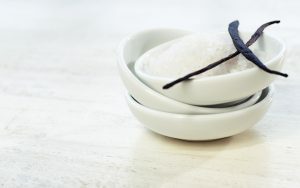 Should you have any questions or concerns about the service you have received in the spa, please notify the front desk within three days of your service.If you are not satisfied with the work performed by our therapist, we require that you return to the spa so that your treatment can be visually inspected. At that time, we will make every effort to correct any problems to your satisfaction by rescheduling you with the therapist who performed the initial service, or with another therapist of your choice, at no additional charge to you. When booking in for any nail treatments, it is your responsibility (the client) to let reception know upon booking your appointment whether you have any gel/shellac or polish on your nails. This is an additional chargeable service to remove any gel. We do advise you to remove any polish before coming in. If you come in for your treatment and don’t advise us before hand about having gel on your nails, the extra time removing it would fall into your treatment time, and full charges would still apply plus an additional cost for removals. In the event you chip your nails within three days after lacquering (four days for gel polish), please report this with a photo to photos@vspa.uk.com and we will offer you a free touch-up on the effected nails within seven days. Outside this period there will be a small fee, and we will not be liable for any effects to you’re nails. You must ensure you are following the correct after care advise for your nails, any issues experienced with your nails after the first four days could be a result of you not following our advise. On some occasions we may ask you to visit the spa so we can carry out an inspection. Please note, we recommend gel polish for clients hands and feet due to no smudging and longer wear of the products. We do not accept responsibility for any smudges or any chips on nail lacquers after leaving the spa. We strongly advise waiting in the spa for as long as possible after a nail polish treatment. Please be advised that you must contact us within this time period if any issue does arise. We do not guarantee a time period for how long nail lacquer will last once you have left the salon. Microdermabrasion Course Terms and Conditions. Any Microdermabrasion course must be paid for in full in advance of the first treatment. All treatment courses must be taken/used and booked within 3 months of buying the 8 get two free and used within 2 months for the buy 5 get 1 free. Microdermabrasion Facial course can only be bought to use as a course, not to be used once a month. We have discounted the treatment and offered free treatments to be able to help clients reach the results they want to achieve. On certain circumstances we may accept that you pay for the course into 2 installments, which means if you accept to go ahead with a course, you must pay 50% of the course price after first treatment and the remaining balance of 50% to be paid by the second treatment but no longer than 10 days. Once booked microdermabrasion course, credit cannot be transferred or used against another treatment. Any treatments left undertaken after the deadline mentioned above will be forfeited. Cancellation Policy applies to the courses. To get the best of the results we expect you to attend your appointment every 7 – 10 days and no longer than 10 days following your therapists advice. In circumstances out of our control if a therapist is sick, we may transfer you with another therapist alternatively we may have to re schedule your appointment. It is the clients responsibility to mention any contra-indications/ anything your medical history to your therapist prior treatment. Should you decide to not have all of the treatments you may have prebooked and not tell us until you arrive for your appointment, we reserve the right to charge you for the time booked. At the start of any beauty treatment your therapist will take a photo on our spa tablet. These images are then uploaded to your client card so we can track progress of treatments and results etc. The therapist will also take another photo of the same area after the treatment. In some cases a therapist may ask if you consent for the image to be used for marketing purposes. You have the right to refuse this but the photos must still be taken to attach to your client card. If you opt out of marketing use your images will only be saved on your client card. If you opt in to marketing your images may be used on social media platforms. Where possible, when permission has been given to use the image for marketing purposes, we will endeavour to keep anonymity of the individual. If you have any questions about this please do get in touch. Rest assured that your privacy is important to us, and we are committed to maintaining the privacy of any personal information we collect from you. We do not share any of your personal information with any third party organisations and we abide by the principles of UK data protection legislation. We would, on occasion like to send you details of open evenings and special promotions. If you would rather not receive these please let us know. In the interest of comfort of all our clients, we ask you refrain from using a mobile phone. Also ensure it is switched off, or on silent, for the full duration of your time at the spa. Spa hygiene is of the utmost importance. All our equipment is sterilised after each treatment. Thus helping us achieve optimal cleanliness. The spa accepts most credit and debit Cards. We do not accept cheques. For your safety all tinting services require a patch test 24 hours prior to your first treatment. Providing no adverse reactions take place, we will be happy to treat you. You must let the staff know if you have overly sensitive skin or any specific allergies that could be affected by treatments or products. We will arrange a patch test for you to make sure you can safely have the treatment. You will also need to fill out a medical questionnaire. This is for use by your therapist to ensure your treatment is 100% safe. If you do not disclose any medications or condition that could affect your treatment the staff cannot be held responsible. Please inform your therapist or technician of any changes in your health on subsequent visits. If you are unsure of being able to have a particular treatment, please inform us 24 hours prior to your appointment. The spa runs various promotional offers, although date and time may restrictions apply. Offers cannot be used in conjunction with each other. Vspa reserves the right to cancel any promotions running at any given time. If a therapist is not available to carry out your treatments through circumstances beyond our control, we reserve the right to transfer the booking to an alternative therapist. In unusual circumstances we may need to cancel your booking. In the event that we cannot fulfill your appointment, we will contact you by telephone where possible. We want to ensure you enjoy your experience with us. In the event that you are not happy with the result of a treatment you must let us know while your in Spa. You can quietly let us know of your concerns while you are here. Please note we reserve the right to refuse treatments; Vspa Retreat staff will not be tolerate disrespect and rudeness. Vspa Retreat reserve the right to amend the Spa Terms and Conditions as and when it is necessary. The spa will give notice of any amendments. By booking a treatment you agree and accept the Spa Terms and Conditions.